We are thrilled to announce our third Inspirational Educator Award winner, Marianne Lang. 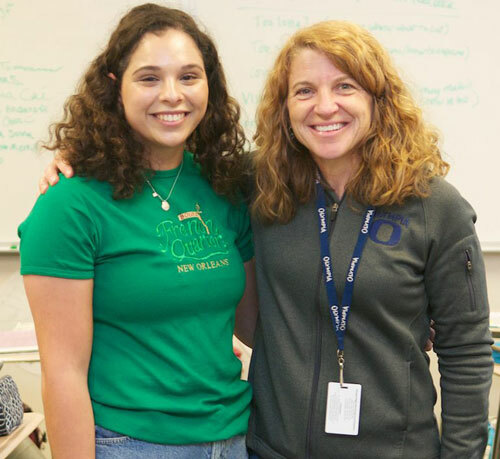 Marianne is an English teacher at Olympia High School and was nominated for the award by our 2017 first place scholarship winner Sarah Gindy. We surprised Mrs. Lang during one of her classes and had Sarah share the inspiration for her nomination. Great job Mrs. Lang – you are a large part of why this community is such a great place to call home!